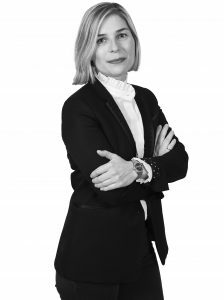 With more than 10 years of experience, Caroline Cazaux has been advising large groups and SMEs on all issues related to distribution and competition law. Before joining the Competition & Distribution team in our Paris office, Caroline was a partner with Fidal and Fourgoux & Djavadi law firms. She has developed specific expertise in the distribution of health and veterinary products (drugs, complementary medical devices), as well as food and consumer products. Caroline works with her clients in structuring their distribution networks, sales and pricing policies, and advertising their products. She assists her clientele, both in consulting and in defense before the competition authorities, including commercial and administrative courts. Caroline also provides training for companies on competition investigations and restrictive competition practices.